Would you watch a basketball game if nobody kept score? Of course not. If nobody keeps score, nobody wins. If nobody wins, the contestants will lose interest and probably not put in much effort. Besides, if nobody keeps score, how do you know which team or player is the best? Okay, I’ll get to the point. When we elect a congressman or a senator, we assume he or she is doing what we want them to do. But are they? Unless you have the time to look up their votes on every issue, you can’t possibly know. And even if you did, you would have to know which votes are important and which are just “show votes”, intended to make a legislator look good even though they don’t really accomplish anything. Congress has an 11% approval rating, but incumbents are re-elected 96% of the time. If we don’t like what they are doing, why do we keep re-electing them? The answer: they get away with lousy performance because voters aren’t keeping the score. Fortunately, there is a great way to measure your congressman’s performance. It’s the Heritage Action Scorecard. 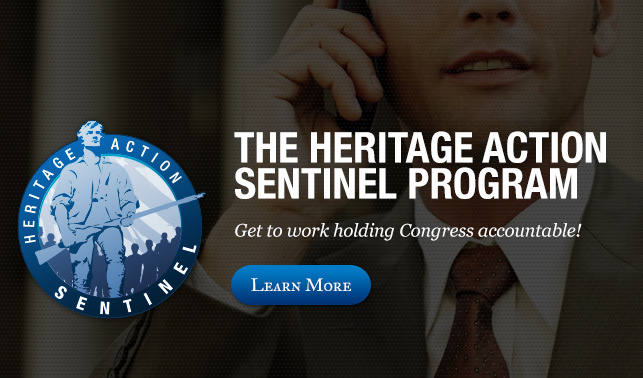 Heritage Action is the activist wing of the acclaimed Heritage Foundation, and their aim is to hold members of congress accountable. The Scorecard is the perfect tool. Heritage Action identifies “key” votes – issues which have a direct and important impact on quality of life in America. The scorecard shows how each member voted on every key issue, and accumulates an aggregate score. My South Carolina congressman, Ralph Norman, has a 95% rating in the current session, which compares to 68% for the average house Republican. That puts him near the top of the pack. Digging deeper, I can see that only one of his votes did not agree with Heritage Action’s recommendation. The Scorecard makes it easy for me to thank my congressman when I like his vote on an issue, or to ask for justification when we aren’t on the same page. And it sure makes the check-writing decision easier at election time. As a Montana native I still follow the politics there. I can’t help but notice Senator Jon Tester’s 0% rating. I hope my Big Sky friends are noticing too. Too many citizens think they have no control over what happens in the nation’s capital. That couldn’t be further from the truth. With a tool like the Heritage Action Scorecard and a telephone, every voter can hold his members of Congress accountable, and can make an informed decision at primary and general election time. This entry was posted in Conservatives, South Carolina and tagged conservative ranking, conservative scorecard, Heritage Action Scorecard, Jon Tester, political scorecard, Ralph Norman. Bookmark the permalink.